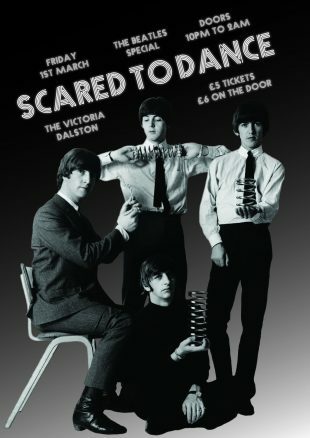 We’re back with The Beatles Special on Friday 1st March at The Victoria. Our guest DJ is Sean Price from the indie label Fortuna POP! who has been a regular at the club over the years. Expect to hear the best from A Hard Day’s Night, Help!, Rubber Soul, Revolver, Sgt. Pepper’s, The White Album and Abbey Road and more. If you have any song requests you can post them in the Facebook event. We’ll be playing The Beatles alongside our usual mix of indiepop, post-punk, new wave and sixties music.